Franz X. Wieshuber. Age 89. Passed away on November 28, 2018. US Army Korean War Veteran. Beloved husband of Margaret "Peggy", nee Rehm. Loving father of Dr. Margaret (Tom) Mc Nelis and Franz Wieshuber IV. Devoted grandfather of 5. Dear brother of Josephine Engelman and the late Rosa Bacher, Symund and Anton Wieshuber. Franz lived and worked in Park Ridge, where he was a local jeweler and goldsmith for many years, along with his brother, Anton Wieshuber. He was born in Chicago on November 12, 1929. Franz went to Lane Technical High School. 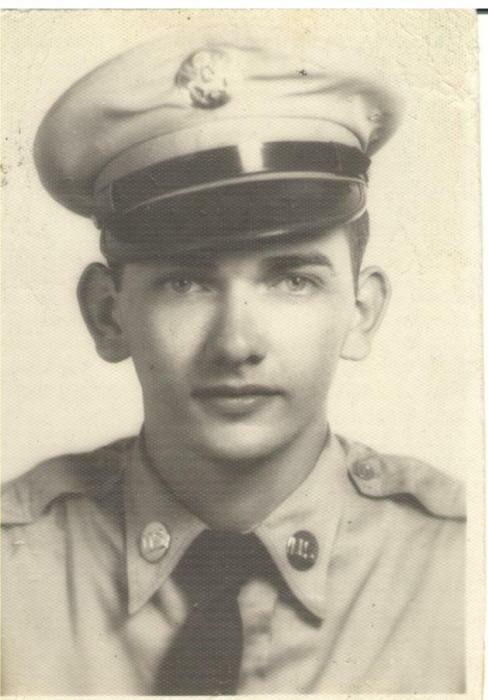 Proudly served in the US Army from 1951-1953, while this was during the Korean War, he was sent to serve in Vienna, Austria, with a military intelligence unit, during the post WWII partition of Austria. He felt that his military service shaped his values for all his lifetime, and he and his wife Peggy, maintained contact with the friends he made while in Austria, and visited many military sites in Europe and the United States. Franz was a member of the Park Ridge Lions Club, South Park Merchants Assocation, Park Ridge Center of Commerce and was a former singer in the Schwaebischer Sangerbund, and German-American Singers, and a member of the Schwaben-Verein. Visitation Sunday, December 2, 4-8 p.m. at Ryan-Parke Funeral Home, 120 S. Northwest Hwy., Park Ridge. Funeral Monday, 11 a.m. from funeral home to Mary, Seat of Wisdom Church. Mass 11:30 a.m. Interment All Saints Cemetery. Memorials to Mercy Home for Boys and Girls, www.mercyhome.org.